Born in 1899 in Brooklyn, New York, to poor, Italian immigrant parents, Al Capone went on to become the most infamous gangster in American history. In 1925, during the height of Prohibition, Capone's multi-million-dollar Chicago bootlegging, prostitution, and gambling operation dominated the organized-crime scene. His competition with rival gangs was brutally violent, a long-running war that crested with the shocking St. Valentine's Day Massacre of 1929. Through it all, and despite the best efforts of law enforcement and the media elite, Capone remained above the fray. Federal income-tax evasion was the strongest charge that could be made to stick, and in 1931 he was sentenced to eleven years in federal prison. After serving six-and-a-half years, mostly in Alcatraz, a severely impaired Capone, badly damaged by neurosyphilis, was released to live out his final years with his family in Miami. From his heyday to the present moment, Al Capone's life has gripped the public imagination, and his gangster persona has been immortalized in the countless movies and books inspired by his exploits. But who was the man behind the legend? Capone loved to tell tall tales that perpetuated his mystique; newspapers loved him and frequently embellished or fabricated stories about him to sell copies. While some remember him as fundamentally kind and good, others speak of how frightening he was, a vicious, cold-blooded killer. Was Al really such a quotable wit? Did he really shower the poor with hundred-dollar bills and silver dollars from the window of his bulletproof car? Did he really keep a bevy of mistresses ensconced in his hotel headquarters in Chicago? 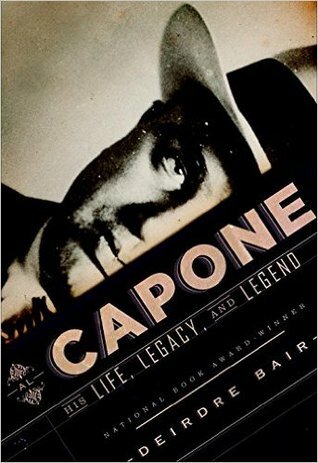 Writing with exclusive access to Capone's descendants, Deirdre Bair finally gets at the truth behind this eternally fascinating man, who was equal parts charismatic mobster, doting father, and calculating monster.